We can’t think of a tastier way to celebrate birthdays than with our Delicious Celebration® Dipped Fruit Delight! 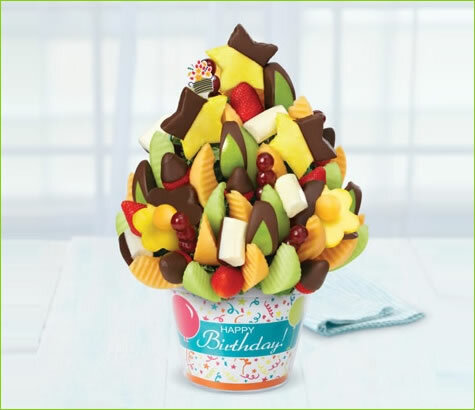 This beautifully crafted arrangement is made with a variety of chocolate dipped and fresh fruit flavors including pineapple stars and daisies, bananas, strawberries, apples, and more. Artfully assembled in a custom Happy Birthday container, this WOW-worthy treat will make the Guest of Honor feel so special as they celebrate another year!